Tomochan Ramen Express is a relatively new entrant in the local ramen scene yet it is already boldly carving a name for itself in the industry. 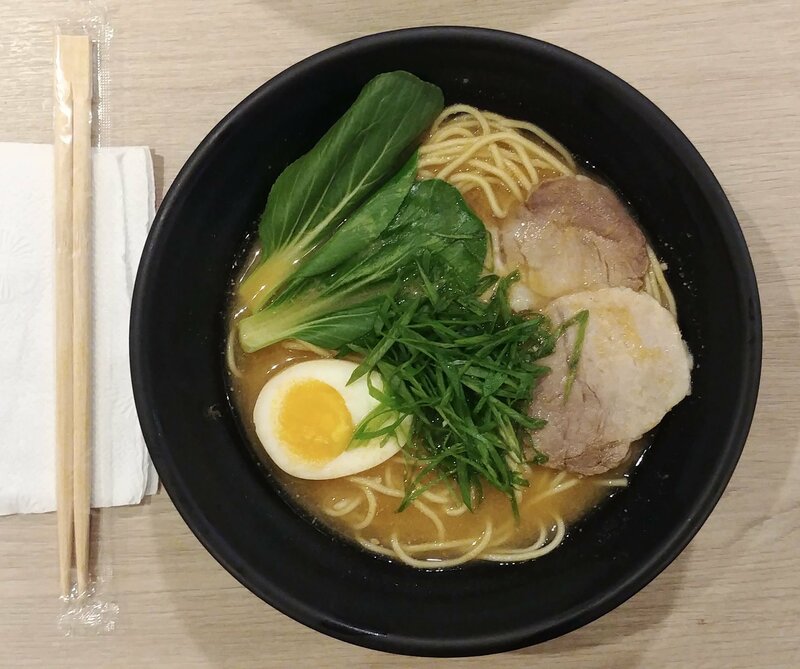 Unlike most similar restaurants, it is positioning itself as an affordable alternative for those who want to enjoy authentic and delicious ramen without breaking their budget. 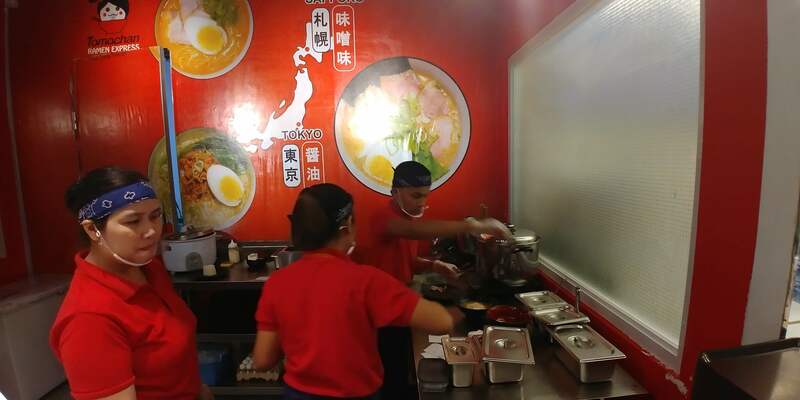 Tomochan served its first bowls of ramen in Angeles city, Pampanga in July last year. 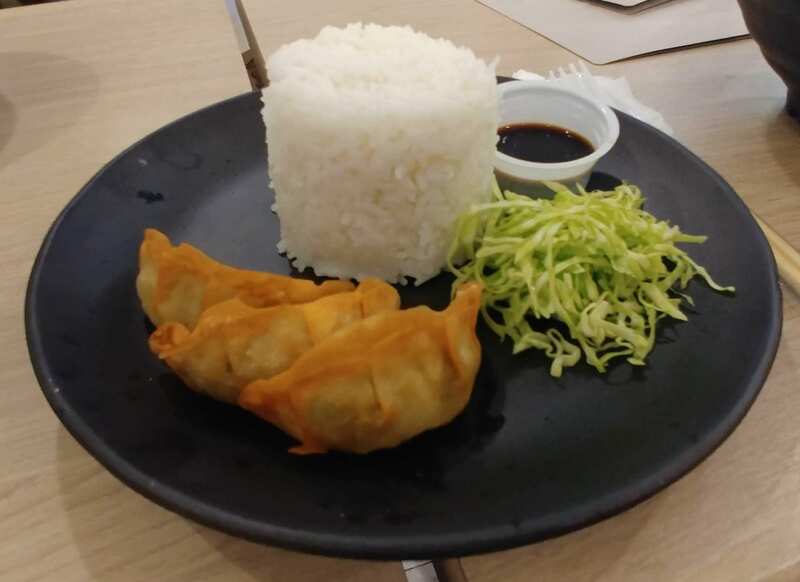 In a span of eight months, Tomochan has grown to five branches with locations in Ayala Fairview Terraces, Marquee Mall, Solenad, LKG Tower, and New Point Mall. These stores can be found inside food courts, a deliberate strategy to give more diners quick and easy access to their favorite Japanese dishes. 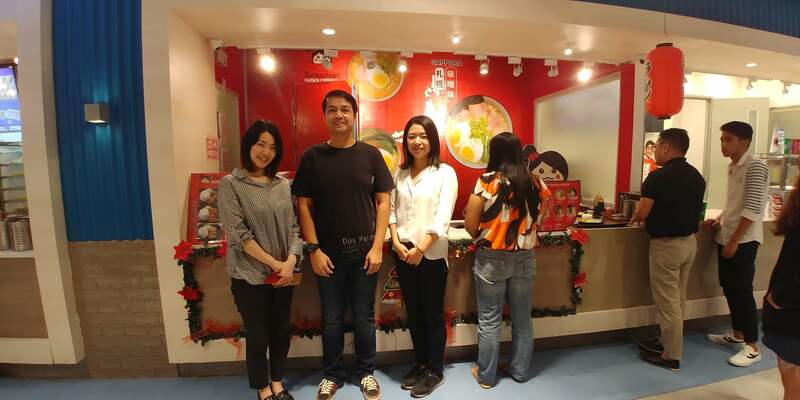 According to its founder, Ms. Akiko Okamoto, Tomochan plans to expand in the next few years to more locations around Metro Manila and in Batangas so that more Filipinos can have a taste of real Japanese ramen at a reasonable price. Tomo is the shortened form of "Tomodachi," a Japanese term which means “friend” while “Chan” is a Japanese word that is used to refer to little children, female family members, and close friends. Tomochan is thus a name that connotes solid friendship; one that espouses love, loyalty, and dedication. Last weekend, I had the privilege to be invited to try out some of Tomochan’s offerings together with other food bloggers from the metro. It was good that the event was held at Tomochan’s Ayala Fairview Terraces branch which was near our house. The restaurant’s menu, I found out, is composed of shoyu (soy-based broth) ramen and miso ramen varieties as well as rice meals. Its soy-based lineup is composed of Shoyu Basic, Shoyu Vegee, Spicy Shoyu Tantan, and Shoyu Special. Meanwhile, its miso-based selections are Miso Basic, Miso Vegee, Spicy Miso Tantan, and Miso Special. Price starts at Php99 so that’s definitely a steal. As for Japanese rice meals, Tomochan currently has three choices available in its menu. 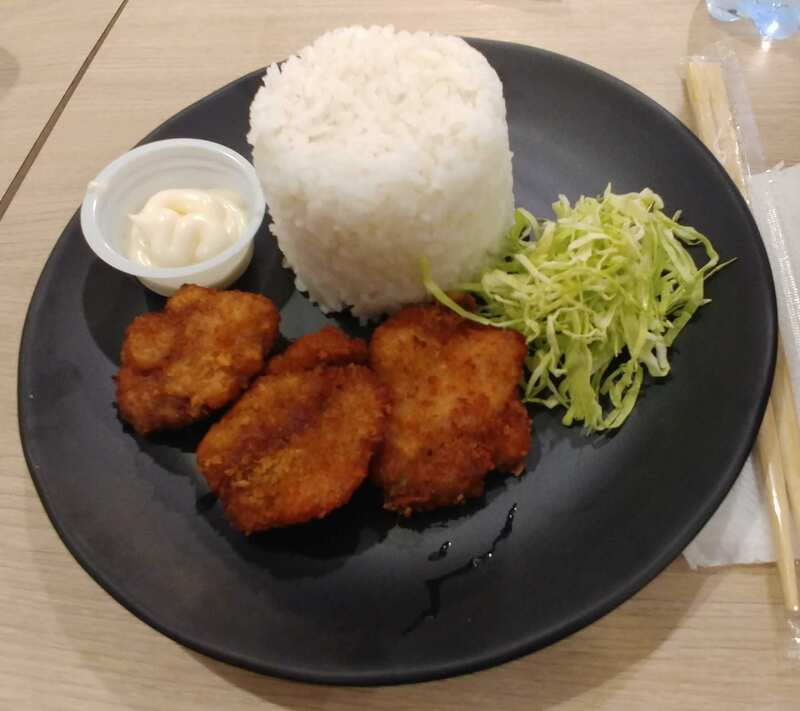 These are Chicken Karaage, Katsu, and Gyoza, all competitively-priced at Php79. For diners who would want to sample all the dishes on offer, set meals composed of rice meals and ramen are available. An even better news is that Tomochan has delivery service unlike other similar ramen restaurants. My orders were served steaming hot and freshly-cooked. Most ramen restaurants recommend sipping the broth while it is hot in order to fully enjoy the flavors. I had the Miso Vegee Ramen and the Katsu Rice and I would say that the quality and authenticity of the food is impressive considering its price. The Miso Vegee Ramen (Php139) was served with half soft-boiled egg, 2 slices of pork, and fresh leeks and vegetables. I was not really expecting much at first but after my initial sip, I knew that it can compete well with most Japanese ramen restaurants around the metro. The broth had a lot of flavor; the noodles are firm and good to the bite; the pork slices are tender; and the vegetables were crisp. I would consider it as a perfect bowl. 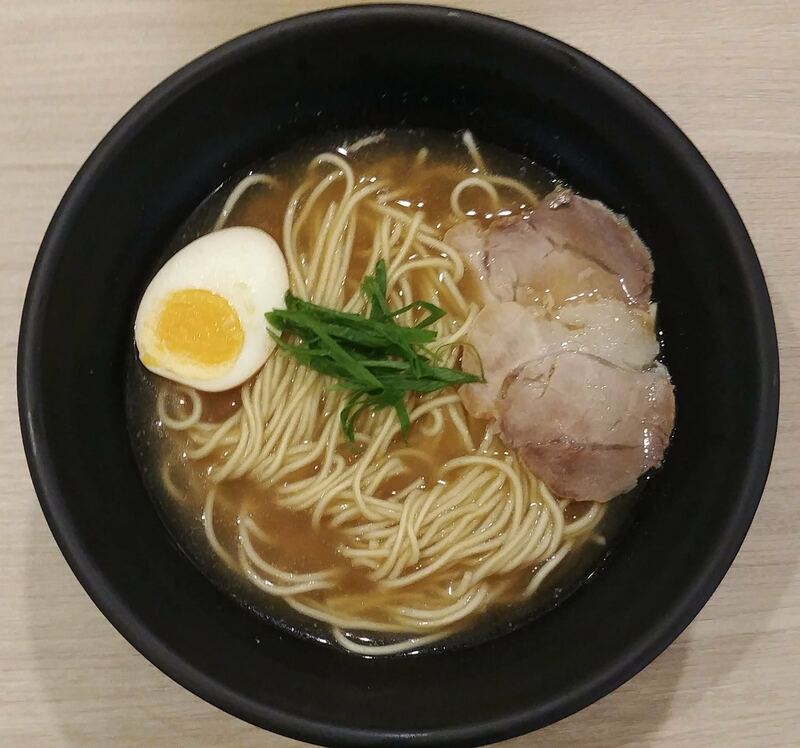 Tomochan has a big potential in successfully bringing authentic Japanese ramen closer to more Filipinos. No need to wait for payday to treat yourself to a nice bowl of ramen – have it any time you crave it at Tomochan. As for the Katsu rice meal, the pork slices may look a little dry and overcooked at first but that is not so. The coating is of the right thickness and the meat inside is still tender and effortlessly succumbing to the bite. Tomochan plans to aggressively grow its branches in the next year or so to around 100 outlets. Okamoto said that they intend to build a ramen empire through organic growth as well as franchising opportunities. Currently, the franchise fee is set at Php160,000 for a term of three years. This includes rights to use Tomochan’s name, trademarks, and systems; site evaluation and approval; exclusive classroom and hands-on trainings’ pre-opening and opening assistance; Tomochan’s operations manual; consistent business support through consulting and filed visits; marketing and promotions support; rights to use the company’s proprietary products and services; and access to accredited and exclusive suppliers. In terms of running their business, Okamato said that while Tomochan’s unique selling proposition is its affordability, they uphold discipline when it comes to their day to day dealings as well as in safeguarding the quality of their products. 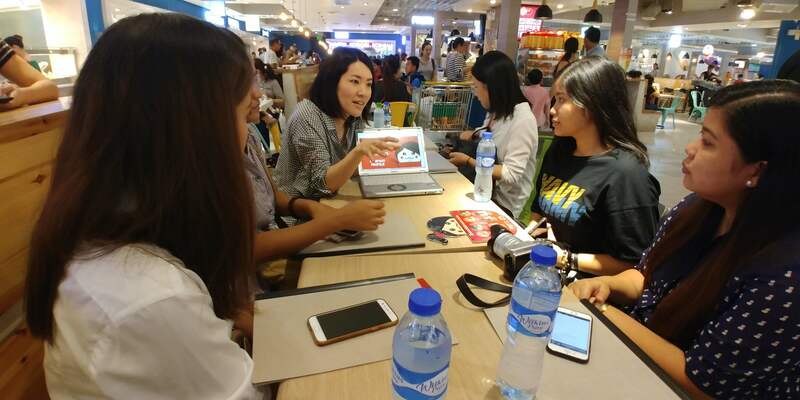 You can tell that Okamoto and her team are serious in realizing their goal because you can feel their passion as they discuss their plans and outlook. On the whole, it was an event that I enjoyed. It was nice talking to the owners who are eager to make a success story happen and who are generous in sharing their insights with regard to their business. What’s even good to know is that Tomochan is offering a novel, sort of a guerilla concept that is not often encountered in the local ramen dining scene. As someone who recently tried ramen for the first time, I love hearing about it from people who know more about it than I do! In your opinion, what goes into the perfect bowl of ramen? I'm not really into ramen. My children on the other hand are, thanks to Naruto, a Japanese animation. I love ramen noodles and the problem is once I start eating them I just want more. They are so good. Oh my gosh, yum. This looks like a great place to eat. I just love ramen. I've always wanted to go to a place like this. Ramen is life for most Asian like me-- I miss my homeland . Aside from the beautiful beaches there and breathtaking scenery the food is always the best. I feel like I want to make a trip any time soon. I would love to visit this Ramen Express once I get there. I have never had the pleasure to try Filipino cousine but will have to find a place that sell Filipino food here and try it out. I will have to tell my brother about this place! I LOVE ramen and we have a nice restaurant by where we live and its so delicious! The dishes you pictured look so tasty! 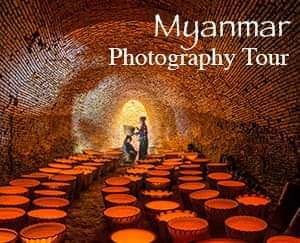 I would love to visit this place someday! 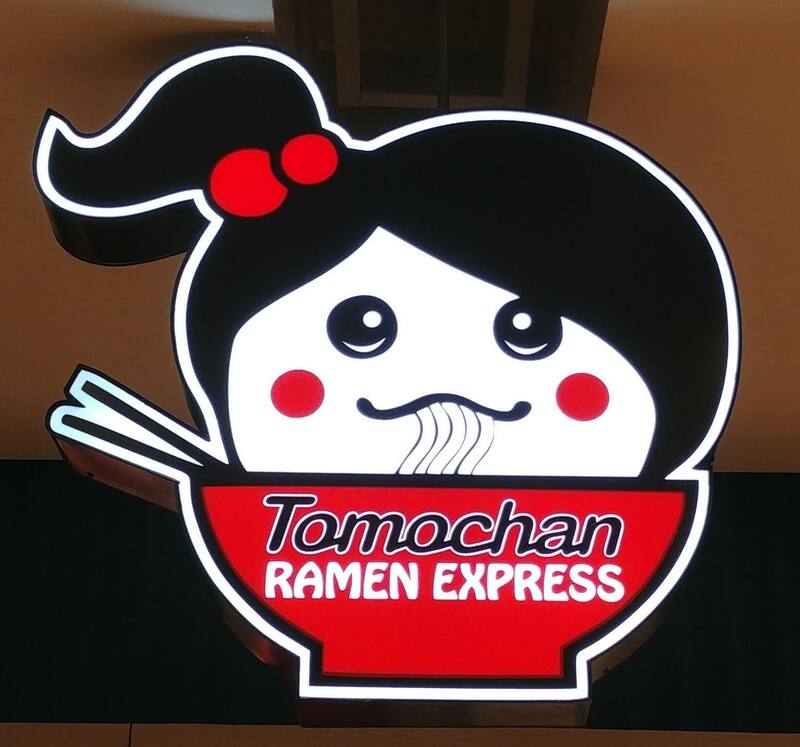 Awesome post on Tomochan Ramen Express! I think that franchise fee is a great deal! Can't go wrong with a good ramen! These bowls look delicious. Ramen is one of our favorites to try different things with and these look so delicious. I would love to give these a go! Yum!! I love ramen and am eager to try some new flavors now that it is becoming more popular at restaurants in the States! Wow, great to know that it is also gaining popularity in the US. Thank you for dropping by! Yup, we love trying out ramen, too! Thank you. You are correct. Thank you for dropping by! Yup, the food is good and very affordable. Thank you! They are really delicious. Thank you! I agree with what you said. Thank you very much! I do hope that you get to try Filipino food soon. Thank you for dropping by! Yes, for most people who are in foreign land, it's food that they miss the most. I'm sure you miss a lot of food and would definitely indulge on these when you get home. I hope you get to visit your home soon. Yup, you can never go wrong with ramen. Thank you! I hope you get to visit the Philippines soon. Hahaha. Naruto is also popular here in the Philippines. Thank you. Great noodles of course plus a broth that is packed with flavor. That, I think, is the base for any perfect ramen. The rest of the ingredients are just for enhancing flavor. I've never heard of this restaurant but the ramen looks amazing! The pork slices also look delicious. Yup, food tastes just as good. Thank you! These are great food choices I did not know until now. Thank you for the useful information. I've always wanted to try ramen, but I've been on the fence about trying it. This post suddenly has me craving it! Everything looks so delicious! Yumm this ramen looks good. I am also so glad to see that there are more options than just broth based soup since I'm vegan I need these miso and soy options. IDK if I'll visit the Philipines any time soon but it's always nice to know I have these food options. Why is that? Well, I hope this post convinced you. Yup, it's good. Thank you. Thank you very much! I'm glad to be of help to you. I've never had ramen before but seems it's such a great meal to the Asian community. So it's nice that Tomochan can offer ramen and you actually had the chance to try it out. Yup, it is a great meal. Thank you very much! I love the name meaning and the ramen looks simply great! I'm hungry!